This image has been doing the rounds on Facebook with thousands of teenagers, including my daughter and her friends, 'liking' this cool notion. 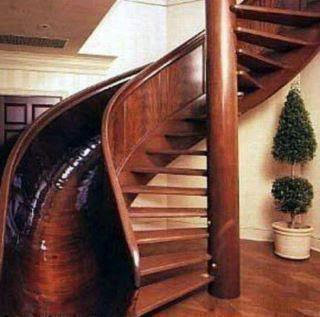 Apparently this is the home of the fun-loving Scott Jones who had this beauty crafted from mahogany. 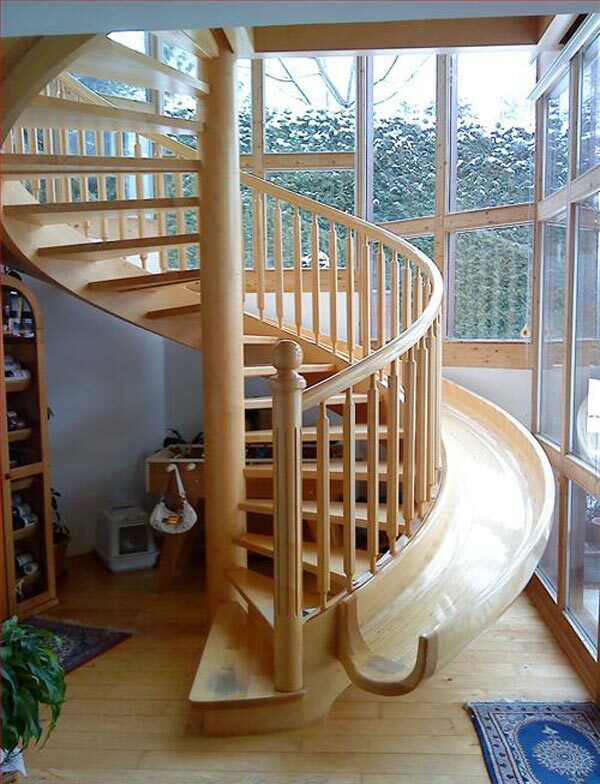 We have beautiful, historical staircases at work and I've often joked how fun it would be to have an adjoining slide to catapult us out the door after a long day of toil. Hmmm. 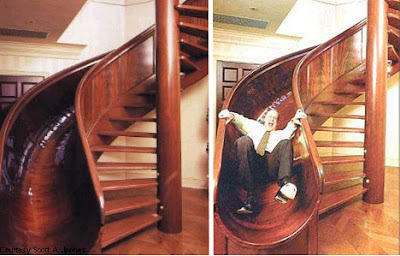 Which would be better for my house: a straight or twirly slide?